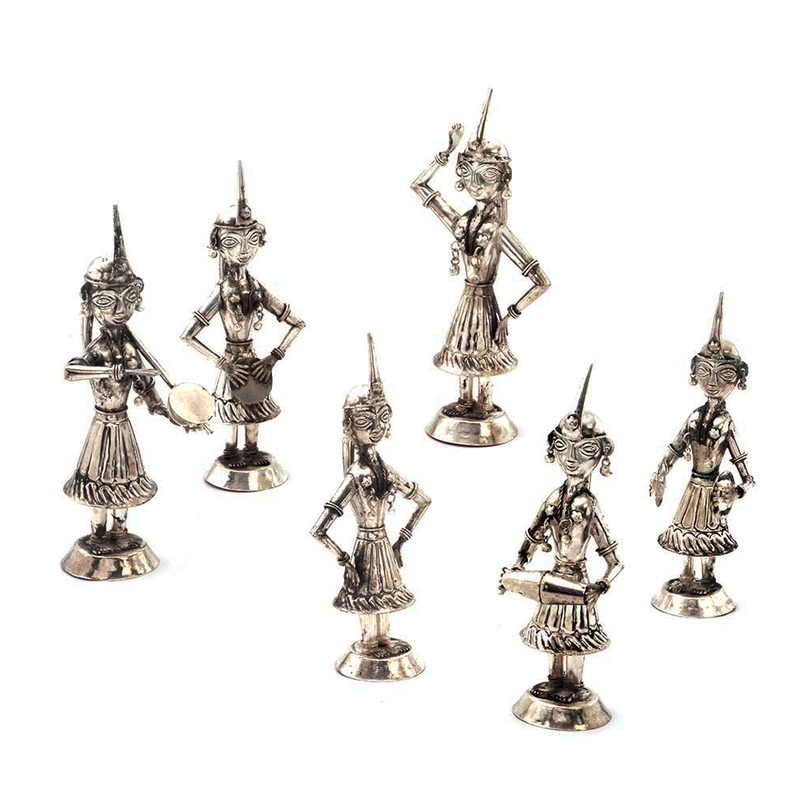 The tiny white metal dancing girls are sure to bring joy to any face. These tiny sculptures are made of white metal. They are six Read More..in number and each of them depicts a different dancing posture. The dancing girls are not attached to any platform so you can keep them according to your wish. It also makes for a good present especially to dance lovers. These will surely help you brighten up the odd of the house. Show Less..